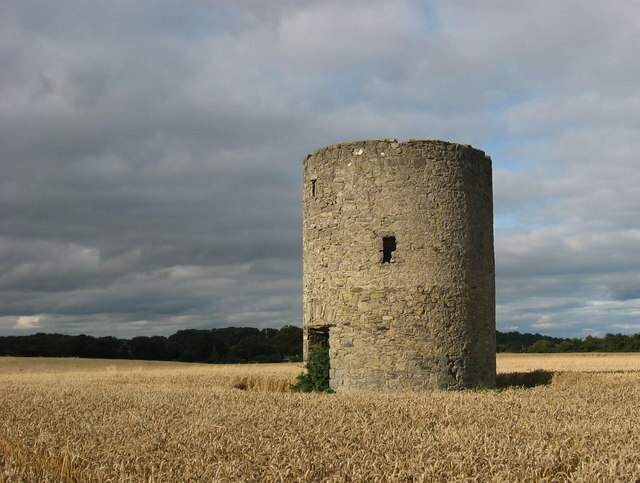 Stameen mill is typical of the type of small windmill fairly common in eastern counties, ie a three-storey cylindrical tower with two opposed doors. It stands on high ground above the south bank of the River Boyne and is depicted with four sails on a 'Survey of the River Boyne' of 1765. In the distance is Beaulieu wood on the north bank of the Boyne. This page has been viewed about 335 times.